An original restoration for a client looking to take it back to the factory specifications. Read below for details and pics of this restoration. 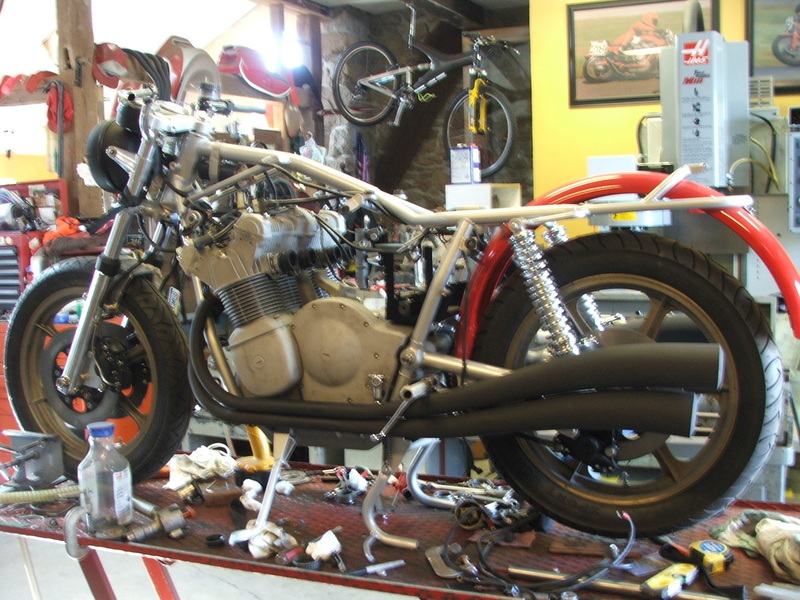 Click on the slideshow below to see details of the complete rebuild. 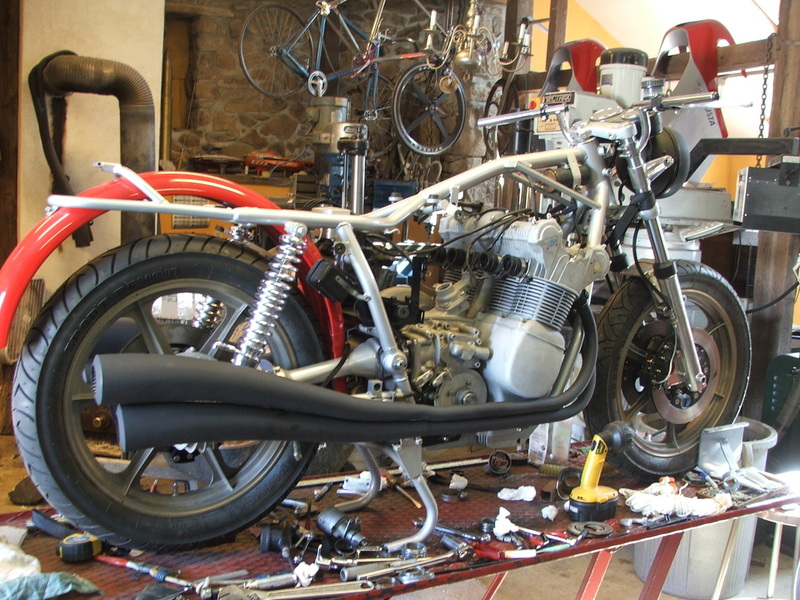 850SS stripped in preparation for complete rebuild to 1977 factory specifications- note the new pipes. 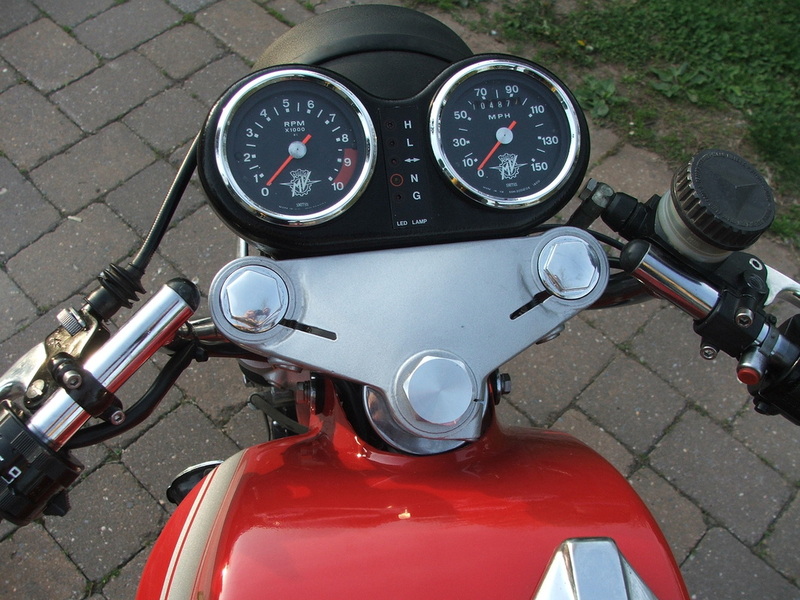 View from the driver seat of finished speedometer and tachometer.